From 21st to 25th of June 2017, Ghent will serve as the splendid backdrop for the 21st edition of the European Company Sport Games. After years of preparation we can’t wait to welcome several thousand sportsmen and women to experience and discover our city. Ghent is a historic city, yet at the same time a contemporary one. The modern daily life of the city’s active inhabitants plays itself out against a gorgeous historical setting. The city’s highlights include the Mystic Lamb, the acclaimed lighting plan which illuminates the buildings in a magical way after sunset, the Light Festival which takes place every three years, the Ghent Festivities and the largest range of veggie offerings in Europe. 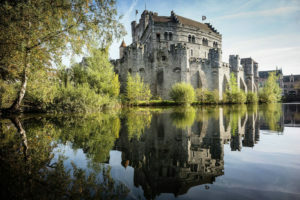 Ghent’s history, art, wonderful architecture, water, rock ’n roll top gastronomy and joie de vivre are sure to win you over. 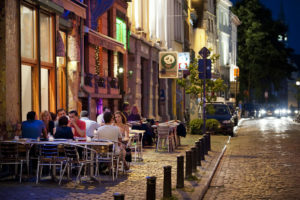 The city also makes every effort to ensure that visitors enjoy their stay, including the thousands of students who provide Ghent with a fresh young vibe every academic year. For example, you can discover an alternative side to Ghent with the ‘Sorry, not sorry street art map Gent’ which takes you on a cycling or walking tour of the city’s graffiti. Ghent is also a revelation in the sporting arena and in 2011 it was rightly awarded the title of first ‘Sports City of Flanders’. With over 600 active sports clubs boasting around 61,000 members, Ghent has a rich and varied sporting landscape. We offer top-notch sports infrastructure, including a new world-class volleyball facility and the largest climbing centre in Europe. 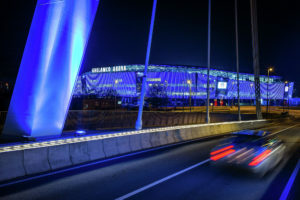 Ghent’s football club, KAA Gent, plays its home matches at the brand new Ghelamco Arena. This stadium was built on the club’s new premises, by the junction of the E17 and E40 motorways, just outside the city. The arena, which seats 20,000 supporters, is Europe’s most modern stadium. An attraction in itself! These days, almost every sport has its own modern venue in or near the historical city centre. 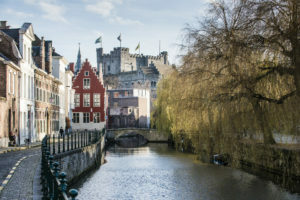 Ghent proudly hosts over 120 sporting events every year, including top international sporting events such as Omloop Het Nieuwsblad, UEFA Champions League football and the Davis Cup tennis final. Every year, the very best track racing cyclists compete for the victory in the legendary ‘Kuipke’ cycling stadium during the Lotto Zesdaagse Vlaanderen. Don’t miss this spectacle! The city is alive and bids you welcome. Don’t miss these city highlights!